This hawk flushed from a large tree about an hour before sunset today, at San Pedro Riparian National Conservation Area in Cochise County, Arizona. Unfortunately, all I got were looks from behind and below as it flew away. 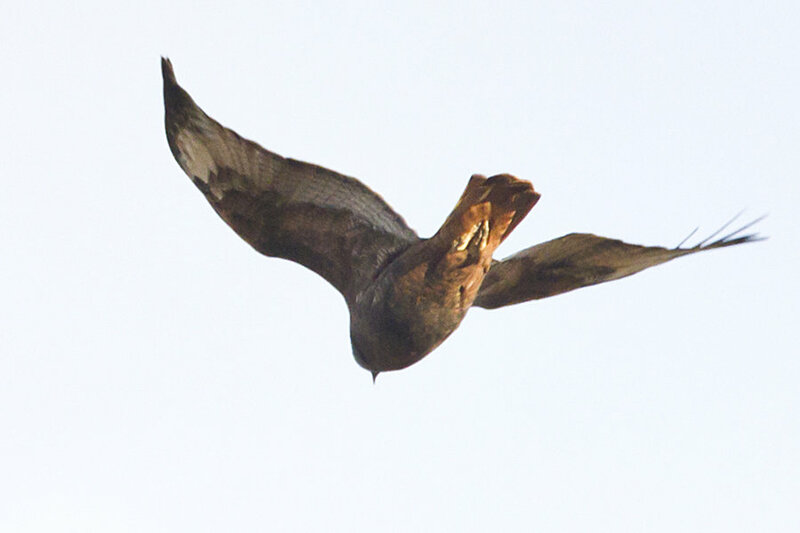 Are there any distinctive features on the wing pattern perhaps, that would ID this bird? Thanks for your help! 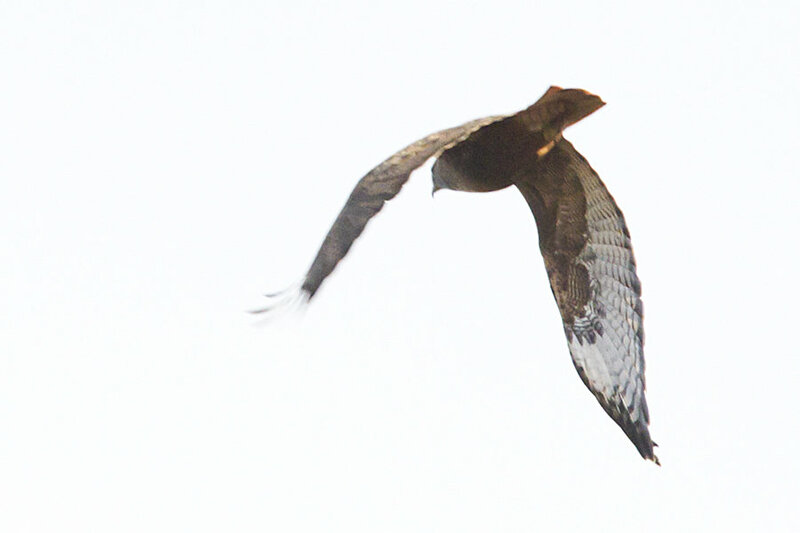 I believe I'm seeing a red tail, so I would say a darker Red-tailed Hawk. Thanks Creeker. I'm color blind (especially red/green), so I can't always go by color. It does make birding a bit more challenging sometimes. 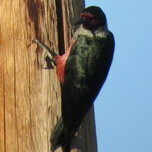 I can't see the red on this bird's tail well (though I can on some views of Red-tailed Hawks). 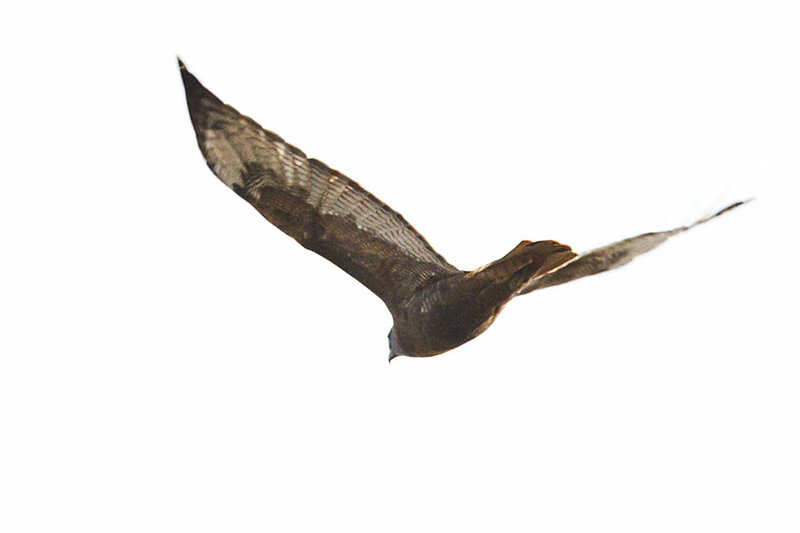 However, you can see in the first and last pictures that the leading edge of the underwing, between the body and the joint in the middle, is the darkest part. That "patagial mark" makes it a Red-tail. Thanks Jerry! I'm the same. I can see the red in these hawks if they are closer and/or well lit.